This the house where all the tiny pieces of paper go. The pieces of paper that show up when tiny hands wielding scissors cut and cut (and cut) to create masterpieces of all shapes and sizes..
At first there were just a few pieces of tiny paper. Then they called their neighbors and they all came to visit. Soon the pieces of paper were organizing supper clubs and PTO meetings and bridal showers and whatever else they do when they all get together. They needed their own house. The house wasn’t always theirs, you know. The house started out as a beauty shop for the previous owner. But the only thing we are cutting around here is paper. So it became an art house. I love the creativitiy and incredible genius that little hands can create. I love the excitement that is produced from a $2.00 bag of stickers from the dollar store. I love freshly-sharpened crayons and a blank slate. I love that pipecleaners become people and glitter makes even the humble construction paper into something special and that playdough comes in 31 flavors. I am happy that it all has its own residence. 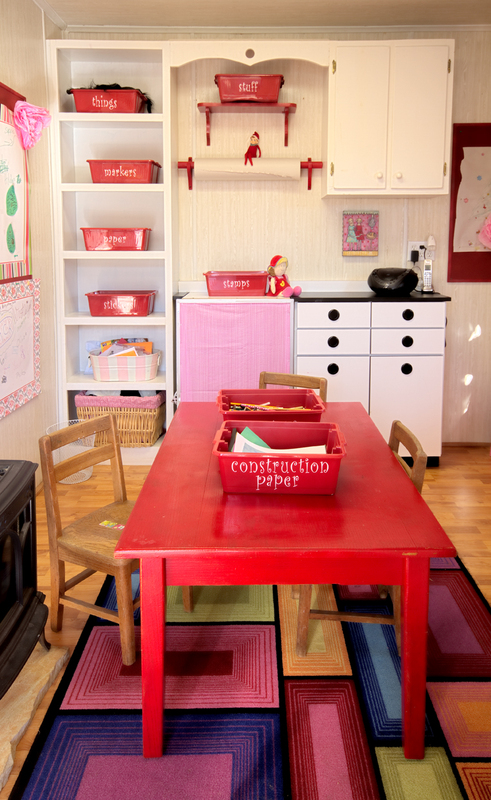 What a great craft room for the kids! I hope that you have your own studio, too. Say, I have a question about your dollar store. Why do stickers cost $2 at the dollar store? That is such a cute space! It makes me think of a little schoolhouse filled with art supplies. I bet your kids just LOVE it in there. I love that it has a history to it too. if it is, you are one lucky duck! how cool! i would have been tempted to keep it as a beauty shop though, only because I am a former hairstylist. it’s such a great space! This is such a great place. How fun for the kids…and you! You ALWAYS make me giggle! I need me one of those little houses! 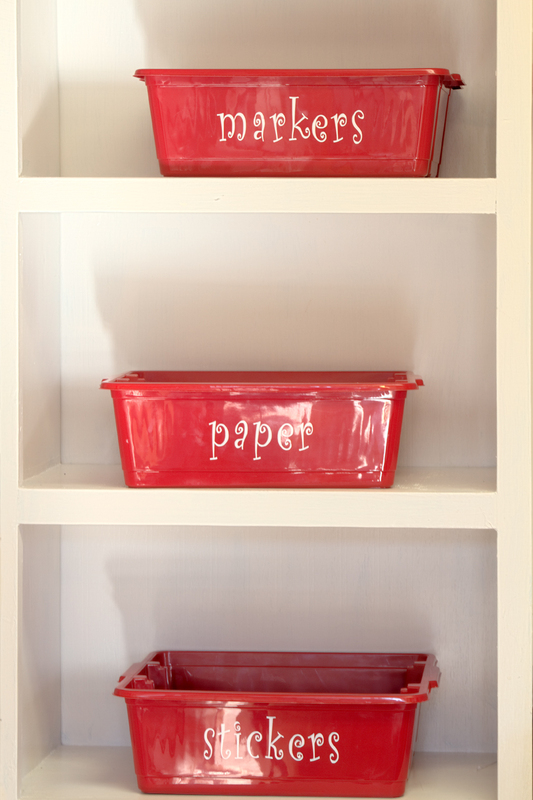 Such a cute creative spot for your kids! This is soooo- cute! I know your children love it! I would have a blast there! I think it’s wonderful they have their own place. I remember my play house so well! I had countless hours of fun there! What a great space! I’d love to have my own little crafting cottage (never mind the kids)! 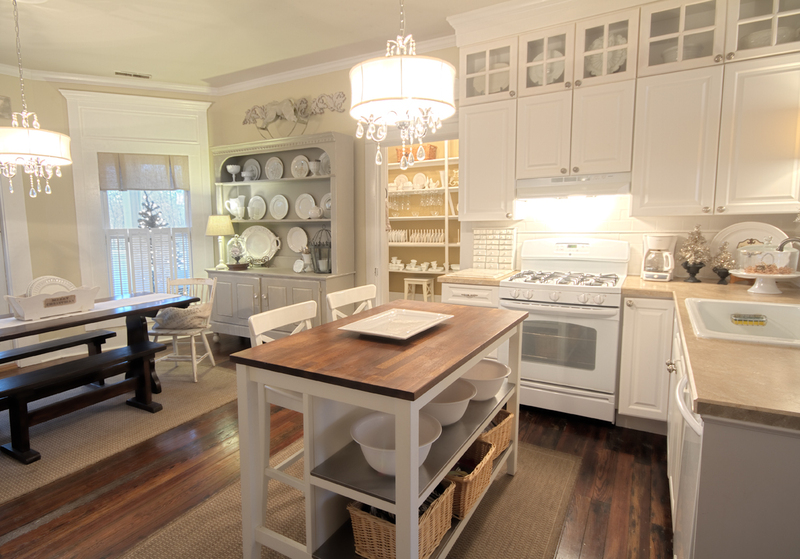 OMGoodness, what an adorable place to create. I love it! This is such a great place to work. After my craft room saw this it immediately told me that it wanted to be a real Art House when it grew up since it is only 4’X7′ right now. Hopefully it gets it’s wish and will grow much larger and more organized some day..
What a fabulous house for paper! Such a great space. I love the way you’ve set up the inside and the outside! That is a haven for creativity. How special to have a place all of their own. If this isn’t the cutest place ever. This belongs in a magazine. No kidding. What a darling little place to be creative, my kids would love this art house. Ok, I moving in to the art house! What an amazing space! OH this is wonderful…I’d never want to leave! This is beautiful! Is it bad that i think I could spend hours in their with a box of stickers and a bag of pipe cleaners? Oh! Oh! I so want that Art House for myself!!! This is beyond fabulous and what a great way to encourage children to explore their talents without having the kitchen table turned into craft land. WOW! What a beautiful place to create in!! Wow Kari Ann! I have been enjoying your blog. You are extremely talented! I love this space. What a wonderful craft room! I have just come over to your lovely blog via Brenda at Cozy Little House and am so glad I did! I found you via Brenda at COZY LITTLE HOUSE. I am following you, and just love your blog. Finding a big old house in the country is a dream, alas not a very practical one for someone who is done raising children and is now officially classified a senior. I will enjoy vicariously your adventures in this grand old home. How stink in cute is that!!! So did you and your husband do all the work on your home? If you say yes I really am going to be jealous:) My husband is not handy at all and all those in my ideas have to wait for the contractor! So if your girls have that space where is yours~ Hope you are having a great weekend! I have so enjoyed the tour of your blog today. I found you through Brenda at Cozy Little House. I have signed up for emails so I will not miss a thing! Take care. What I would give to have a space like that! Forget about my children – I could spend a lot of time there! Oh, boy….talk about a dream place for kiddos….this is it. You did a magnificent job on this creation, Kari……really super. How cute. I am visiting from Heather’s blog critique series..figured I could find some new blogs this way. And wow I am glad I found yours. Love it – now back to reading more- by the way – new follower here. 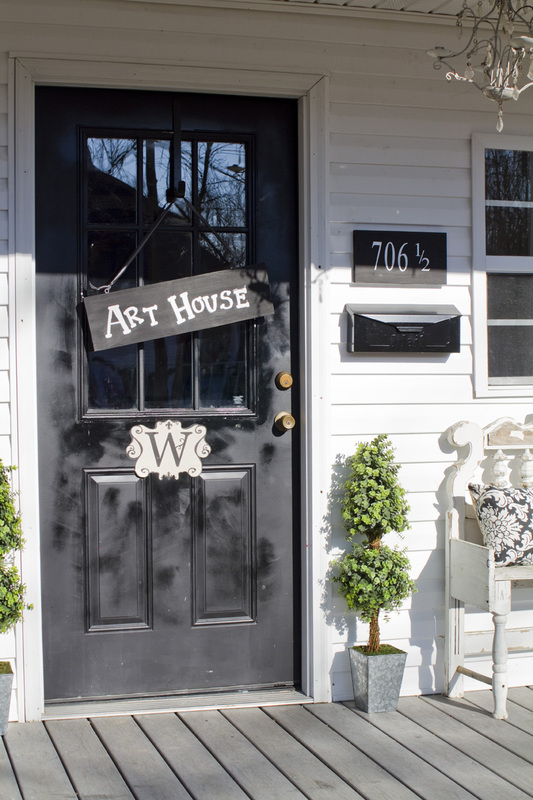 This is the best little art house ever! What a great place for the kids to create and play. I can see this as my grownup art studio! Adorable! 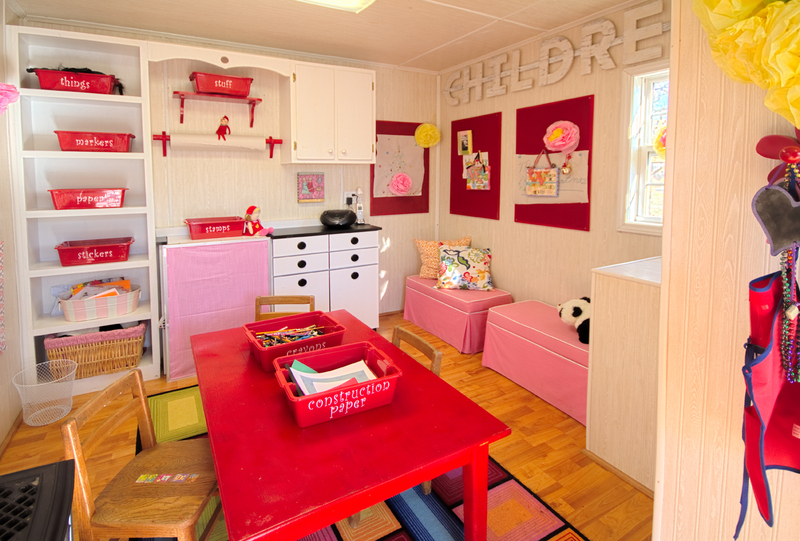 Wow, what a great space for your children to be creative in! This is truly amazing! Thank you so much for stopping by my blog and commenting on my headboard! I truly appreciate your kind words. My grand daughter needs an art house. Her mom was telling me just the other day that she is continually working on another project and sometimes she just has to tell her no, she can’t start another one. So sad, because she is so creative. She needs an Art House all of her own. 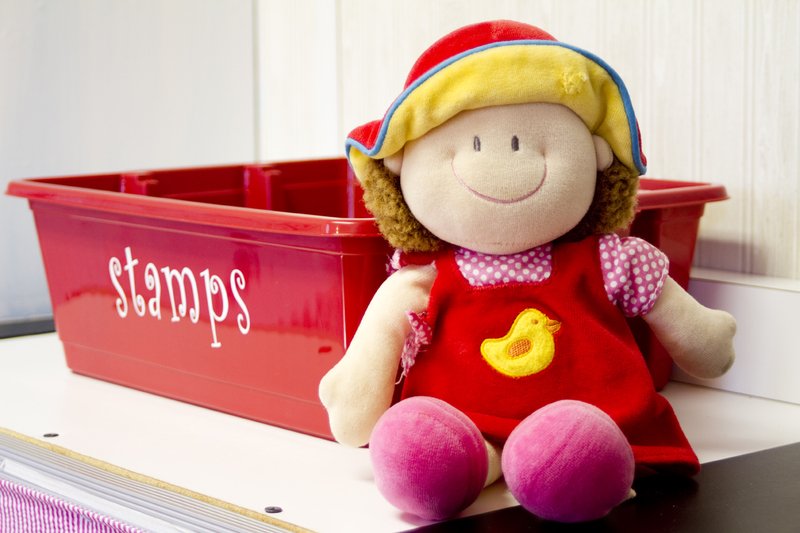 How wonderful for your children that they have one of their own, it is super cute and I’m sure they love it! Such a precious little house! So happy to find your beautiful blog through Brenda. I laughed at the “curbside conversation,” yes, we have had a few of these here too! Thank you so much for stopping by my virtual home. I appreciate your kind words and hope that your triple thick projects work out in the future! 🙂 Your blog is lovely and am envious of your art house. What a dream! Make sure you stop back by and enter my giveaway. Stop by often. If I behave may I please have a grown-up crafts room that looks just like this? Truly amazing, as is your blog and every single post. Do you know how intimidating you are? I’m not buyin’ it that you’re a terrible cook. But because I sense that you are a woman of high integrity, I have no choice but to believe you. I am not-so-secretly glad to know that you are not perfect at EVERYTHING! Thanks for today’s visit to my less-than-perfect blog. And I would love to participate in your aforementioned challenge. Thanks for forcing my hand. So many dreams, so little courage. That is the most awesome playhouse/craft area I’ve ever seen! Too cute! how on earth have i not been here before????? this is AMAZING!!!! AMAZING!!!! my daughter would LOVE this space. heck, i would love it! That is absolutely adorable! I wish there was all things internet when my children were little. So many amazing ideas out there! Wow! Bebe and I need an ART HOUSE too! Or, mayube it’s just for me. 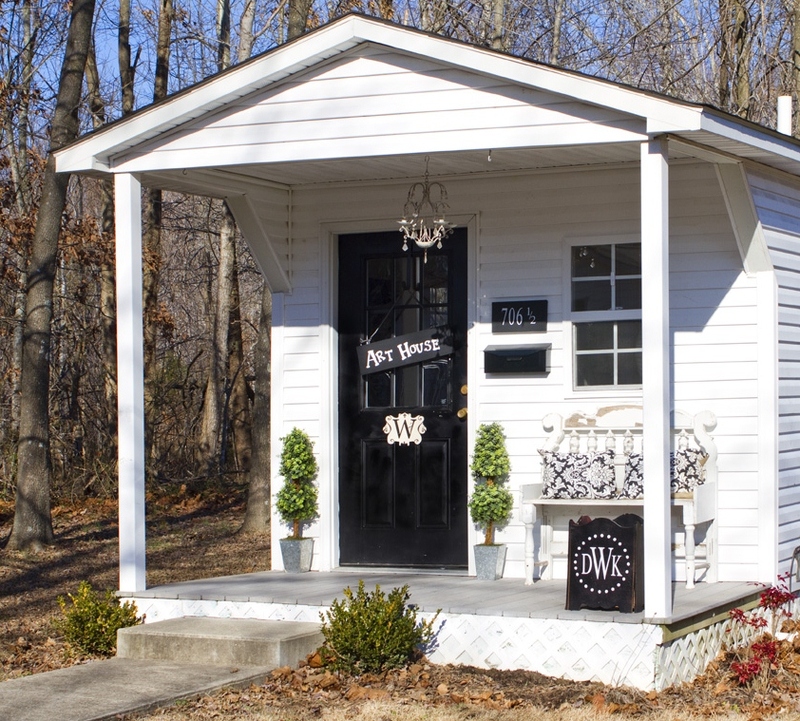 This little craft house is to die for! and loving all your sweet touches! with very lucky little artists! This is the cutest thing I have ever seen!! You are so creative and it looks like your girls may have caught your creativity bug. Just fabulous!! Oh my goodness, who wouldn’t want to visit and craft in this space? I would never leave!